The proof is vividly on display in nearly every Starbucks outlet, where drink orders from mobile users often seem to rival the orders of in-store customers. 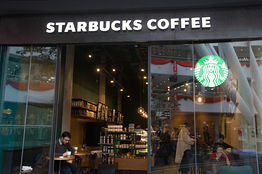 Starbucks’ app has resonated with its loyal customers, who can monitor and manage their card balance and star rewards. The app’s popularity exemplifies yet another successful technological initiative at the Seattle-based company, which has out-siliconed Silicon Valley itself, as Barron’s explained in a cover story last year.